Ole's at the wheel... for good! Background Image Via: Pixabay. Used under Creative Commons. License 2.0. When Ole Gunnar Solskjaer was named interim Manchester United manager, it's fair to say the Old Trafford faithful were filled with hopeful excitement. Supporters didn't really know what to expect; although they'd always have the Baby Faced Assassin's back. Nobody could have predicted things would go this well. Solskjaer has reinstilled belief and brought back confidence. The Norwegian has people believing again. That's an underrated commodity. Fast-forward a few months. Solskjaer getting the job on a permanent basis was a case of when rather than if. He'd given United no other choice. The results speak for themselves. Somewhat surprisingly, today is that day. The 46-year-old has been handed a three-year deal; two months before the season ended, which was the date United had originally earmarked to make their final choice. And so the Red Devils have their fourth permanent manager post-Sir Alex Ferguson. I'd argue Solskjaer has already made the biggest impact. That alone is probably reason enough to appoint him full-time but if you're still not convinced, let me help you out. Where else to start but United's bread and butter? The promotion of youth is embedded in the foundations at Old Trafford. Solskjaer has carried on with that mantra wonderfully. Debuts have been given to Mason Greenwood, Tahith Chong and James Garner, while we're seeing the absolute best form from homegrown Marcus Rashford. It's the belief and confidence in youth that Mourinho sometimes lacked. Just look at the names of the XI that were on the pitch come full-time during that special night in Paris. It truly is remarkable. The proof, as they say, is in the pudding. Nobody can argue with the league table. 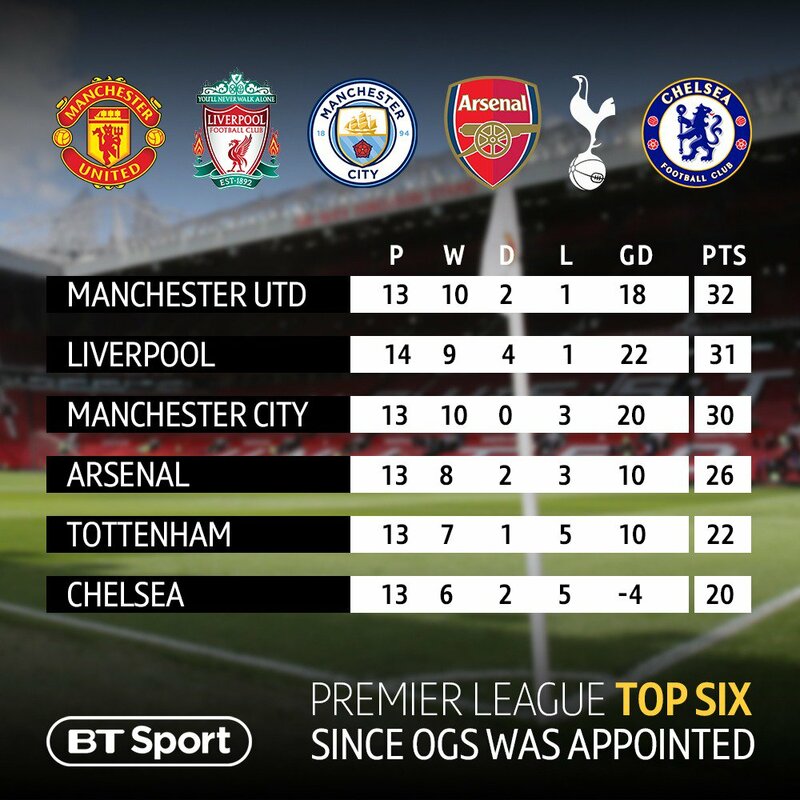 After all, this is a results business, and although I know it doesn't count for much, the fact that Solskjaer has won more points than any other club since taking over deserves huge credit. Perhaps even more so when he's besting a generational Manchester City team along with the best Liverpool side we've seen in a decade. Not bad, eh? Back to the players. The biggest transformation we've seen has to be Paul Pogba. The superstar Frenchman had been average for two-and-a-half seasons. From day one of the Solskjaer era we'd seen a significant change. The 26-year-old was allowed to play with the freedom that he so desperately craved. We're now looking at arguably the finest midfielder on the planet. It's crazy what a little bit of belief and trust can do. I'll be the first to admit I had early reservations. Solskjaer was riding a wave at the start, but he's shown a willingness to change tactics to suit different situations, we've seen an ability to adapt mid-match, too. Quite frankly, even if heads do drop and the players now instinctively relax, the club had no other choice. At least now Solskjaer can plot and plan for the future knowing that he can mould this squad into one that suits his image. It was the best decision the club could have made - and at the perfect time, too. Despite back-to-back defeats, it shows United are willing to get behind their man.